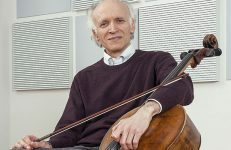 Ovation Press is excited to present a two-part interview with one of our editors: former principal cellist of the Cleveland Orchestra Stephen Geber. This interview was featured previously on our main site but now updated and moved over here to String Visions. Ovation Press: What inspired you to play the cello? 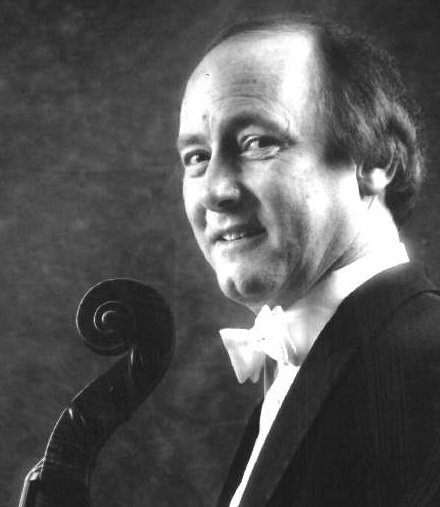 Stephen Geber: I was born into a family of cellists. My father and mother were both professional musicians. One of them was in the Los Angeles Philharmonic and my mother was a very renowned teacher and performer on the cello in the LA area. My brother is a founding member of the American String Quartet and is now the Dean of the Manhattan School of Music. I just kind of fell into it, you might say. Ovation Press: How involved were your parents in your musical education? Stephen Geber: My mother was actually my first teacher and I worked with her for about two and a half very rocky years. Mother and son did not click in that area but I was able to move on to another teacher, which, not being a family member, seemed to work a little better. However, my mother and father both oversaw what I was doing as I was growing up and were a great help and influence in my future life in music. Ovation Press: When did your musical career begin? Stephen Geber: Well, I think it really took off when I went to the Eastman School of Music–it’s sort of a late start. Although I had been active throughout grade school participating in various contests, competitions, and most importantly in a lot of chamber music, I think it’s when I went to the Eastman School of Music when I was 18 or 19 years old, that it really turned everything around for me and made me realize that this is a career I really wanted to pursue. During my time there I was heavily embedded in orchestral training as well as chamber training, and this appealed to me very much. I also had the good fortune of working with a wonderful teacher at the Eastman School, Ronald Leonard, and this certainly helped me to succeed in the orchestral field and also in the chamber music field. Ovation Press: What kind of warm-up routine do you follow? 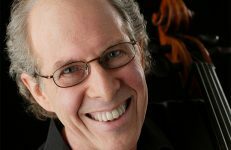 Stephen Geber: Well, before I perform or play or even practice, I do a warm-up routine of scales and just some slow practice for about 15 minutes to a half an hour. Everybody needs to do that in order to hopefully avoid any kind of injury or tendinitis or anything like that. Ovation Press: Have there been specific teachers or mentors that had an especially large impact on your development as a musician? Stephen Geber: I think they all did. Being from a musical family and my parents being cellists, it was a great help to me for them to guide me to the right teachers at the right time. I’m indebted to all my teachers. Ovation Press: How has teaching impacted you? Stephen Geber: Teaching young people has been an inspiration to me and helped me grow as a musician. It’s actually helped my cello playing because I have to put into words and express what I’m trying to communicate to the student. The sharing of ideas with young people today is a real inspiration for me and it helps me in just about every aspect of my musical life. Ovation Press: What kind of career advice do you give to your students? Stephen Geber: I simply tell them: if you can look in the mirror and can say, “this is what I want to do,” and if you have a tenacious enough personality to stick with it, you will find your niche and succeed. There are no guarantees. It’s a very competitive field. There are no guarantees of success immediately but I think if you stay with it and really work hard, your opportunities will come along at some point. Everybody seems to find themselves or find their way as they go along in life. 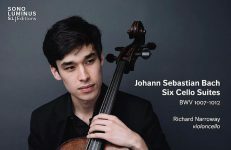 Ovation Press: What are some of the most important responsibilities of being a principal cellist in an orchestra and can someone train for that specifically? Stephen Geber: The responsibilities are rather simple yet they can be numerous as well. I think the most important thing is one has to be a solid player, both technically and musically. One has to have an edge on temperament and an edge on the ability to play solos. That’s not to say that a principal player is necessarily a better player than other people in the section–that’s not always the case. I also think one has to be a people person and know how to relate to the section and bring everybody together to play as one. He or she has to be involved with the music director or whoever is conducting, and be able to relate to that personality as well. Additionally, it’s important that a principal player has poise. And as far as training and preparing for that, I think it’s a gift. Some people have it and some people just don’t. Ovation Press: Is experience as a section member beneficial to a future principal player? Stephen Geber: Absolutely. I was very fortunate when I came to Cleveland because I had previously played with the Boston Symphony as a member of the section for 8 years. That experience really fine-tuned my orchestral playing and gave me the opportunity to concentrate on my solo playing when I came to Cleveland. Ovation Press: What does a young musician joining a major orchestra for the first time need to know? 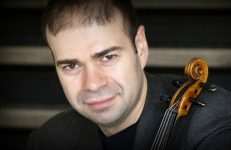 Stephen Geber: I think they have to come and step into the situation with very open thoughts about an orchestral career. Nothing can be taken for granted. The young orchestral musicians today are very fortunate in that they have opportunities that ensure a very good life for an orchestral player. I think once a person has achieved the opportunity to perform within a fine orchestra, they also should keep their skills as an individual player fine-tuned as well. Do chamber music, teach, play a solo every now and then, but do not just sit back in the chair and take their position for granted. Additionally, I think that young players that come into the orchestra have to continually learn to respect the players that have been there for a while. 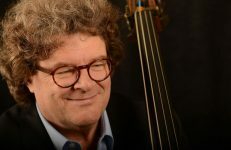 I think most young players do, but there are cases where a young player comes into the orchestra and they feel that they would rather be a soloist than an orchestral player. An orchestra is a team effort, and in order to be successful with that you need to work as a team, not as an individual. In part 2 of this interview, Mr. Geber discusses different aspects of being involved in orchestral music as a career. Also, to see a complete listing of his music with Ovation Press visit Stephen Geber’s editor profile.